INCLUDES 3 YEAR WARRANTY FROM KODAK ! versatile, more reliable, more innovative, and more productive. 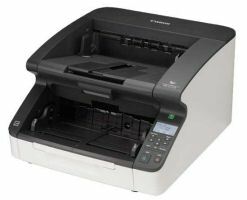 with speeds up to 70 pages per minute, look no further. The i2000 Series packs plenty of production in a small package. Improves your image. Kodak’s Perfect Page technology can perform up to 35 image processing functions for exceptional scan quality time after time, eliminating the need to check every image. Perfect Page technology reduces rescans and post-image processing, and even delivers great image quality from less-than-perfect documents. Does more with less effort. Our out-of-thebox scanning solution enabled by Kodak’s Smart Touch functionality lets you capture, manage, process, and deliver PDFs and other file formats — automating processes that previously were time-consuming. Easy-to read operator control panels make capturing documents so simple, anyone can do it. Versatility. Small or large, thick or thin, ID cards, even embossed hard cards — no matter what you’re scanning, paper handling from Kodak comes through. The output tray can easily be adjusted to accommodate a wide range of documents. Reliability. 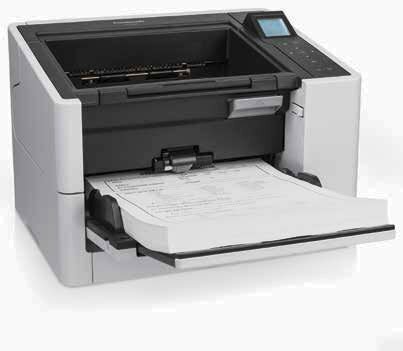 Accepting up to 100 pages, the highly reliable feeder and unique integrated paper tray make it easy to get scanning done. Gets you started faster. LED illumination eliminates lamp warmup time, providing faster first scans, plus image clarity, consistency, and color stability. Worry-free operation. Three-year limited warranty* with next-business-day replacement from Kodak’s Service & Support team keeps things running smoothly and eliminates hidden costs. Saves space. The stow-or-go design lets you store the scanner upright when not in use, then pull it out for scanning when you need it, so it won’t interfere with your daily activities. 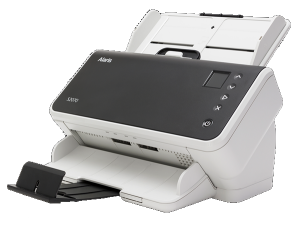 With Kodak i2000 Series Scanners, flexibility meets wide-ranging needs plus ease of use and high performance combine to deliver incredible value. The i2600 & i2800 have a digital text display. The i2400 only has a numerical diplay for smart touch. Sometimes you need a flatbed, but many times you don’t. That’s when our tethered flatbed design saves valuable workspace. Just attach the flatbed via tether to your i2000 series scanner and easily cruise through all your exception scanning items. The flatbed can scan at up to 1200 dpi. When you’re done, the flatbed detaches just as easily for storage away from your desktop. But don’t hide it, because a detached flatbed can serve the needs of multiple work groups or departments. Sharing is good, and in this case, it’s more economical, too. And you can choose accessories like the tetherable flatbed. This unit is GSA compliant.